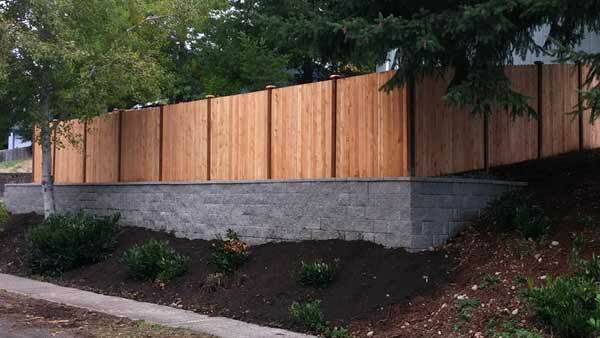 Privacy fence and retaining wall. Point to the picture to see how the property looked before installation. 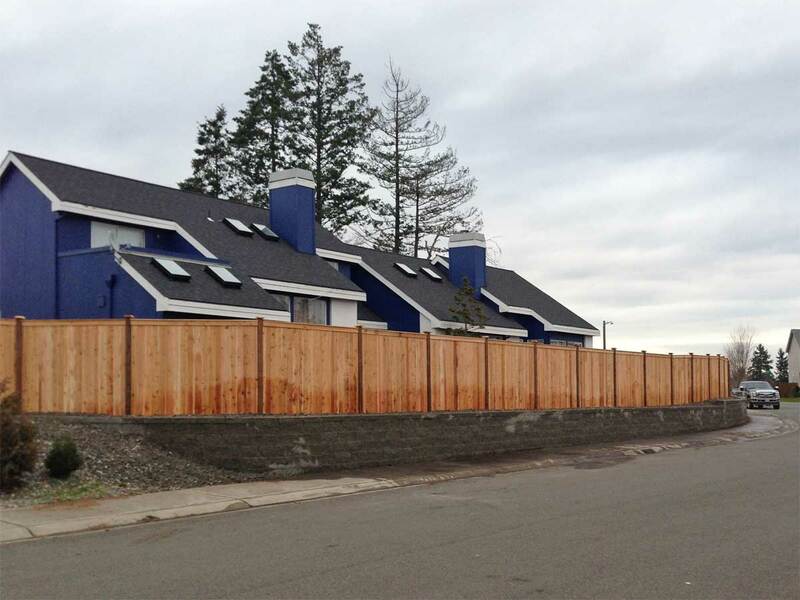 This fence and retaining wall made a dramatic transformation to the front yard of this home. Point to the image above to see the original fence. Finished small retaining wall protects against erosion and separates the shed from the house. 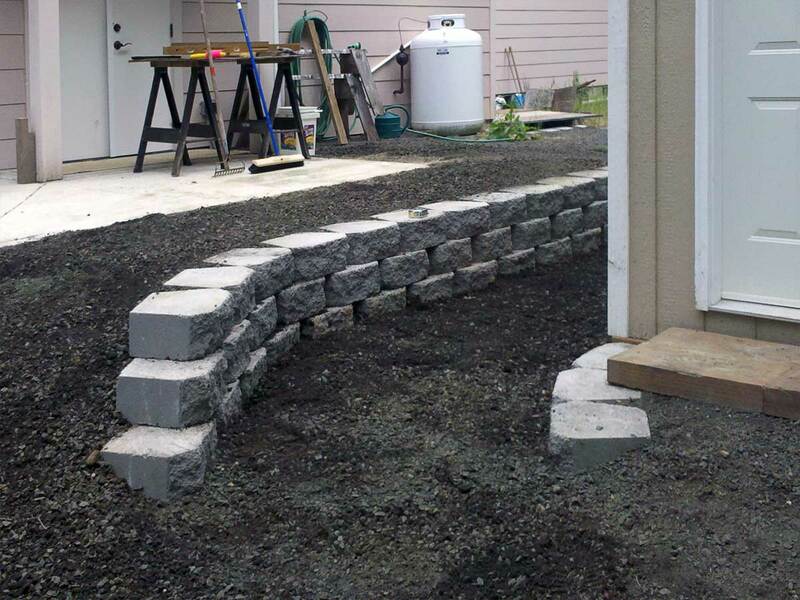 Point to the photo to see what it looked like before the retaining wall was installed. 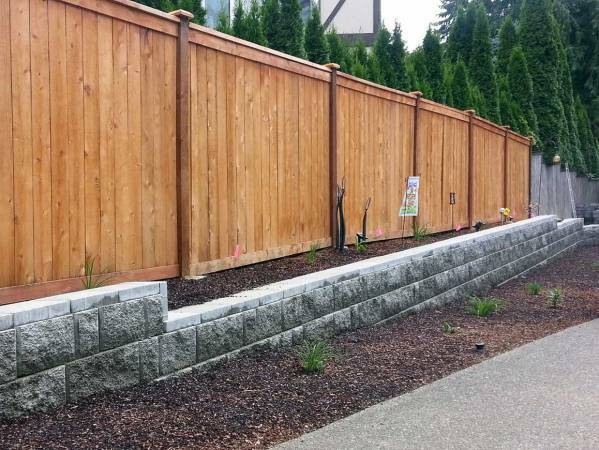 Retaining Wall with Fence by AJB Landscaping & Fence. AJB regularly does projects that involve multiple services.